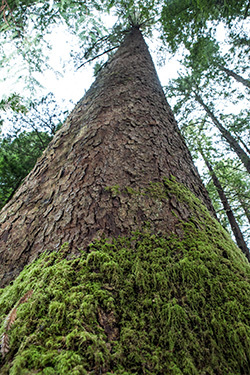 This Sitka spruce, which appears lighter in color than its neighbors, is located near Fern Lake on the HSU campus and is the tallest known tree on any college campus. 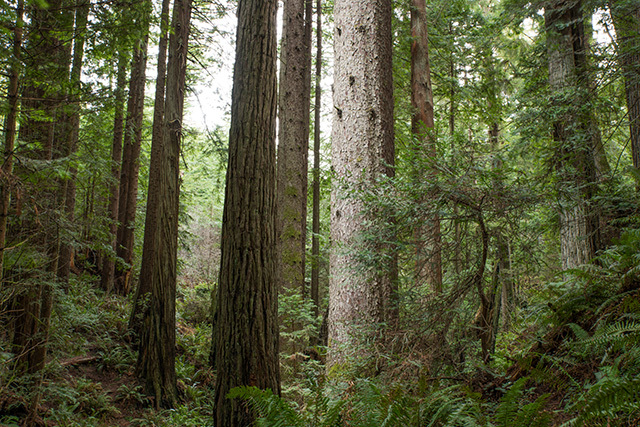 Download a 3D interactive PDF of the Sitka spruce here. Note file must be downloaded and opened in Adobe Acrobat to enable 3D interaction. Sitka spruce are known for their bark, which features a purplish color and large potato-chip sized flakes, and the usefulness of their wood.